Get Babbitt now! Get Bako now! Breakfast Serial Toys – Collect All 12! 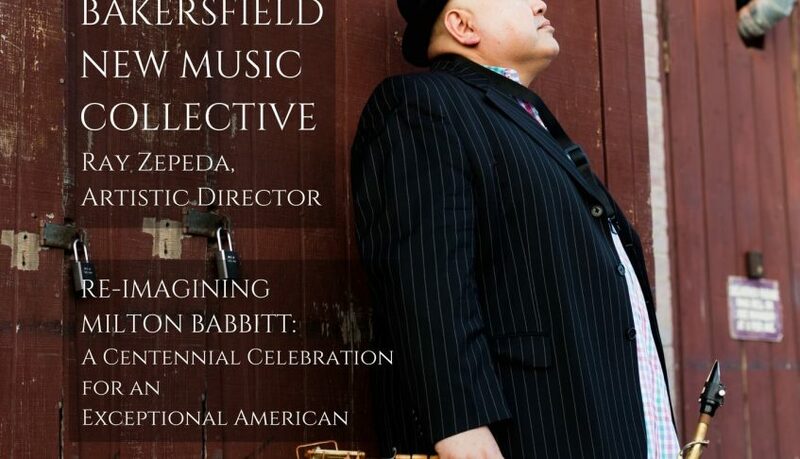 Congratulations to the Bakersfield New Music Collective and Special Guest Mash-Up Artist, D.j. Raully D! Stay in tune with RayZ’s music and thoughts on music! @RayZepedaMusic on Twitter. 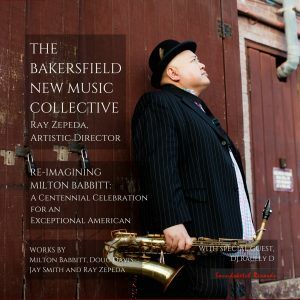 A resident of Hermosa Beach, California, a location indelibly etched in the minds of jazz literati as the Mecca of West Coast or “Cool” jazz – an association perhaps forged solely by the iconic Lighthouse and its sundry “All-Stars” – Ray Zepeda has created an oeuvre that is anything but regionally definable. Moreover, his music has heretofore been, for the most part, anything but “cool” in the sense that the term is commonly applied to characterize the West Coast school. While some comparisons can be drawn between Zepeda’s penchant for thoughtful composition and the aesthetic of the cool school which favored complex , logically-derived melodic lines and intricate arrangements over the pure “blowing” session, the listener cannot help but take notice of the markedly aggressive nature of his improvised lines, especially on Stella By Starlight, Step By Step, and Two Weeks’ Notice, exhibiting an angularity more akin to the bebop school of 52nd Street and the East Coast hard bop lexicon than to the more singable line playing of sunnier climes. Said affinity notwithstanding, Zepeda’s playing is intensely melodic as evidenced by his soulful renderings of Untitled #1, Midland, and Never Will I Marry where the innate beauty of the tune’s harmonic underpinning is brought to the foreground by his compelling lyricism and where every note is imbued with his highly personal signature without ever crossing the line of affectation or artifice. Contrast this with his wholly experimental and unabashedly visceral version of Body and Soul – a veritable tour de force in extended techniques from his capacious reservoir of timbral resources – and one must conclude that Zepeda is a master for whom the saxophone is but a transparent vehicle through which he can speak with clarity whatever he hears and feels in the moment directly to his audience in a way they find emotionally impactful and intellectually engaging. While Zepeda’s arrangement of Stella By Starlight falls along traditional lines, it provides a perfect showcase for Rich Eames’s sinewy piano lines and Joe La Barbera’s spirited and crisp drumming during the exchange of eights with Zepeda and Eames. 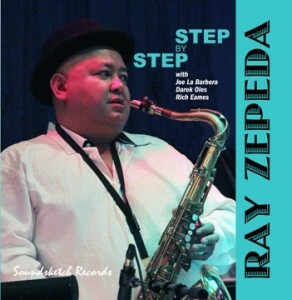 Zepeda’s title cut, Step By Step, by contrast, is a work of daunting complexity, the intricate inner workings of which all relate in some way to various melodic, intervallic, and harmonic elements of John Coltrane’s Giant Steps where excerpts from Coltrane’s melody are sometimes even presented in retrograde or inversion. While this would not be apparent at the beginning to most listeners without the benefit of detailed analysis of the score’s minutiae, step by step the piece does gradually become more and more like its model (hence the title) until the solo section is reached at which point it becomes obvious and things start to really burn. Zepeda, Eames, and Oles offer up masterful solos, effortlessly executed, even at this brisk tempo, over some of the most difficult changes in the jazz repertoire. La Barbera is flawless throughout this cut, driving its forward momentum at every juncture. Zepeda’s Untitled #1, his arrangement of Frank Loesser’s Never Will I Marry, and his version of Midland by Grammy-winning composer and pianist, Billy Childs, are all perhaps a tip of the hat to what he calls the “ECM school” after Manfred Eicher’s label known for producing jazz albums that are more contemplative in nature. While Zepeda’s melodic sensibilities and heartwarming and resonant tone shine brightly throughout, Eames too effectively captures the whole ECM vibe especially in his Keith Jarrett-like gospel-influenced interpretation of Never Will I Marry. While there is historic precedent for doing so (i.e., Billy Boy on Miles Davis’s Milestones album), Zepeda’s inclusion of his You Haven’t Changed sans composer /leader may seem a curious choice but not when you consider that he has Bill Evans’s old drummer, Joe La Barbera, in the group. Eames is nothing short of brilliant here, clearly evoking Evans with the sympathetic interplay with La Barbera and Oles who delivers his own soaring, melodic bass solo. Inspired by the composer’s high school reunion (hence the title) and seemingly fashioned along the lines of a standard straight out of the “Great American Songbook”, it was found to work perfectly in a trio setting and deemed too beautiful a tune to omit. To even the score, Zepeda’s Two Weeks’ Notice is performed here as a trio, this time without Eames. Given La Barbera’s and Oles’s association with former Ornette Coleman bassist, Charlie Haden, they are no strangers to the pianoless ensemble and the challenges posed by the lack of chordal support. Based on the chord changes of John Coltrane’s Moment’s Notice, Zepeda composed Two Weeks’ Notice for his departure from one of his employers, performing it a cappella through a speakerphone at home into the employer’s answering machine without further explanation. (The rumor that he even attached the sheet music to his formal resignation is untrue, however). After La Barbera’s introduction paraphrasing the melody on drums, Zepeda’s atonal angular melody featuring large intervallic leaps between adjacent pitch classes lays surprisingly comfortably atop Oles’s bass line and, with their judicious note choices, the chord progression is clearly heard throughout Zepeda’s and Oles’s solos which are followed by some group improvisation before a return to the melody. While Two Weeks’ Notice may dance along the edge of the avant-garde, Zepeda’s tenor and drums duet with La Barbera on Body and Soul drives it straight over the cliff with reckless abandon. Amidst all the flurries, the simpatico is really quite amazing here with La Barbera responding perfectly to Zepeda’s every gesture and vice versa. This performance, haunting at times – vacillating freely between pointillistic episodes and active passages – is demonstrative of the range of expression and the richness of tapestry that can be achieved with just two non-chordal instrumentalists. Consummate artists both, they are still able to make the basic tune and progression discernible to the careful listener all the way through and they intuitively know when to leave space and when to force the issue which prevents the performance from degenerating into eccentricity, something that happens all too often in the experimental jazz world. While the textural variation, visceral gestures, and extended techniques may be what grab the listener on the first hearing, repeat study is guaranteed to reward the listener with more treasures with every subsequent hearing. 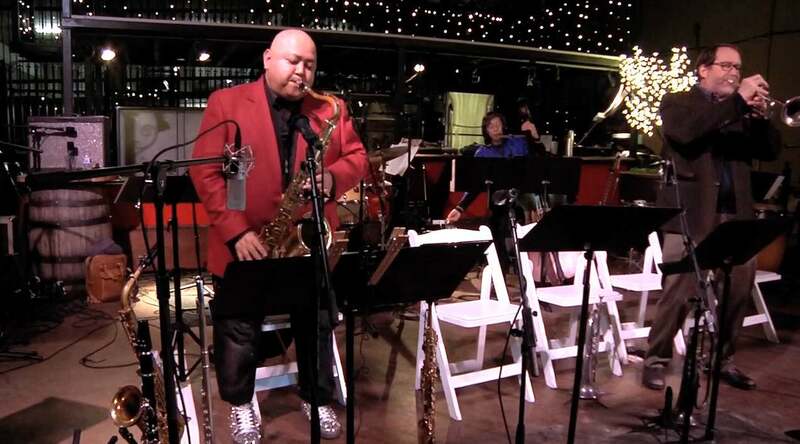 Mr. Zepeda plays Selmer Mark VI soprano and tenor saxophones and a Buescher 400 “Top Hat and Cane” alto saxophone, all with Rovner ligatures and Vandoren reeds. Reeds: Vandoren #4 (sop. ), Java #3 (alto), and V16 #2-1/2 (ten.). Mouthpieces: Selmer C* (sop. ), Brillhart 5* (alto), and Peter Ponzol M2000 (ten.). Unauthorized duplication is a violation of applicable laws. Made in U.S.A.